Free software tool to reconstruct regularised surfaces from point clouds. In particular it is well suited for human faces. It can fill holes and creates nice triangulations. Furthemore, it can also align surfaces. It can be found here. A general purpose surface viewer and manipulation tool. It can read and write several different file formats. Great for explorative data analysis. It can be found here. 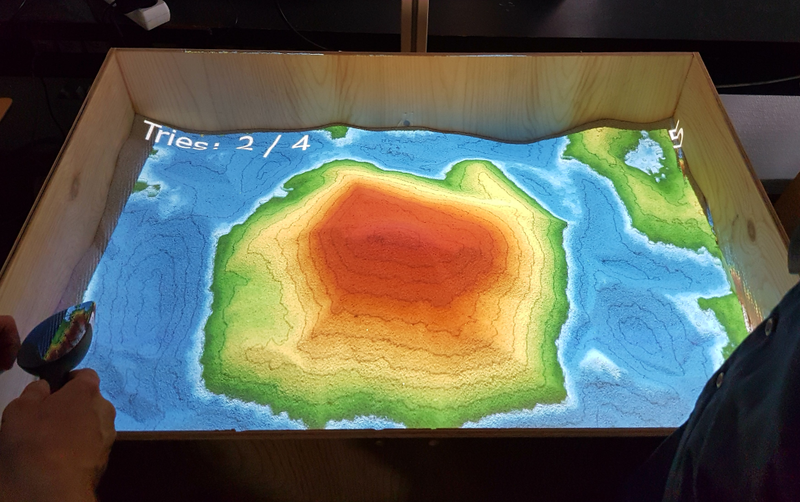 Magic Sand is a software for operating an augmented reality sandbox like the Augmented Reality Sandbox. developped by UC Davis. It is a partial port of the SARndbox project of Oliver Kreylos. It was ported to openframeworks by Thomas Wolfe and later modified and extended with some games by Rasmus R. Paulsen. The complete source and build instructions can be found at https://github.com/thomwolf/Magic-Sand. A video of the Sandbox demonstrated at the political festival called Folkemødet at Bornholm can be seen at https://www.youtube.com/watch?v=dDMrxtH1hyU.